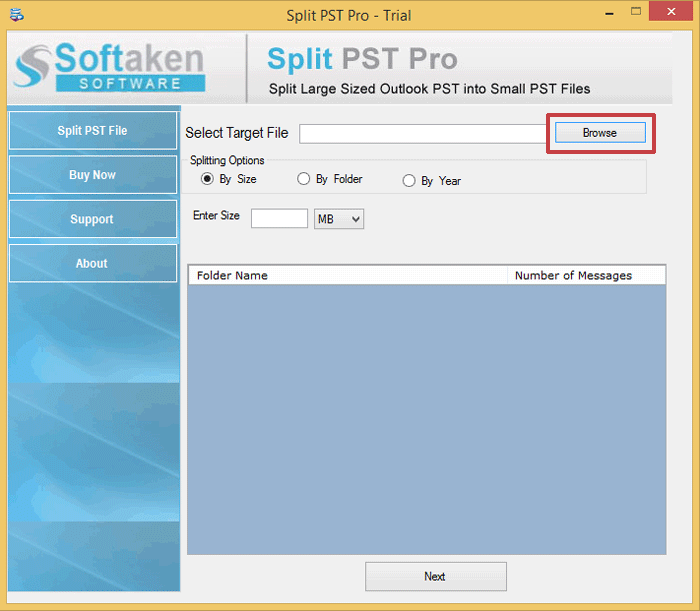 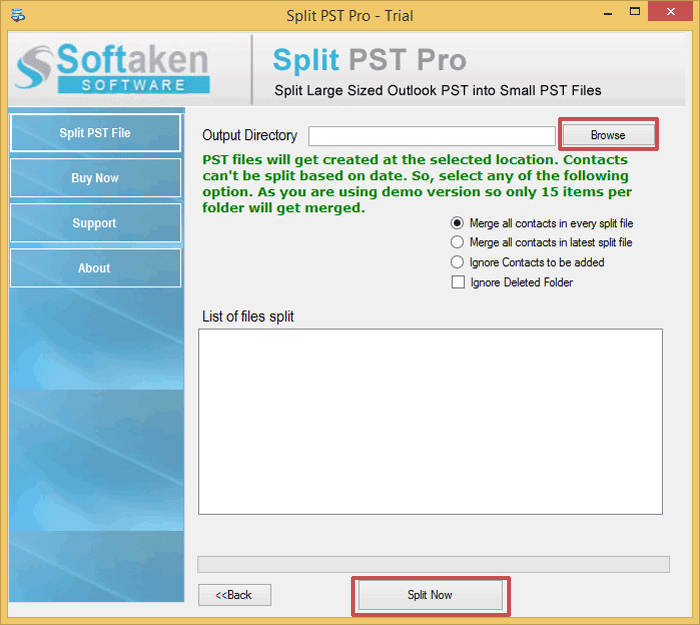 Step 1: Open Split PST tool and Press on Browse option. 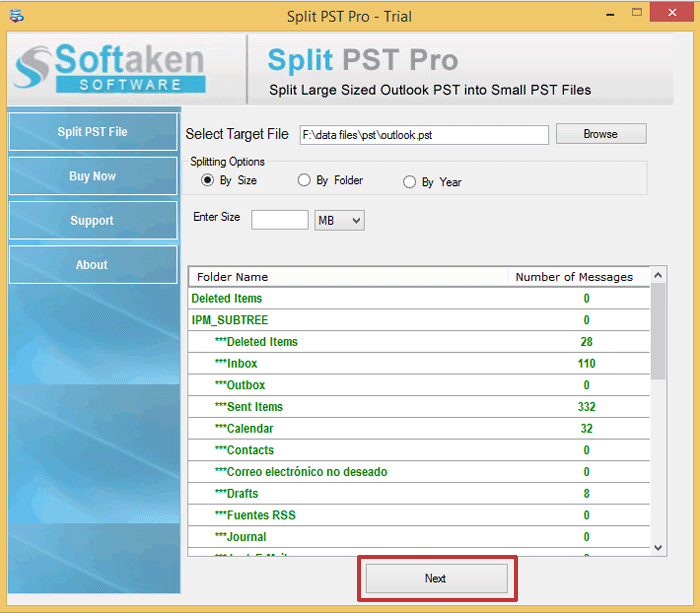 Step 5: Now click on Next option for Further process. 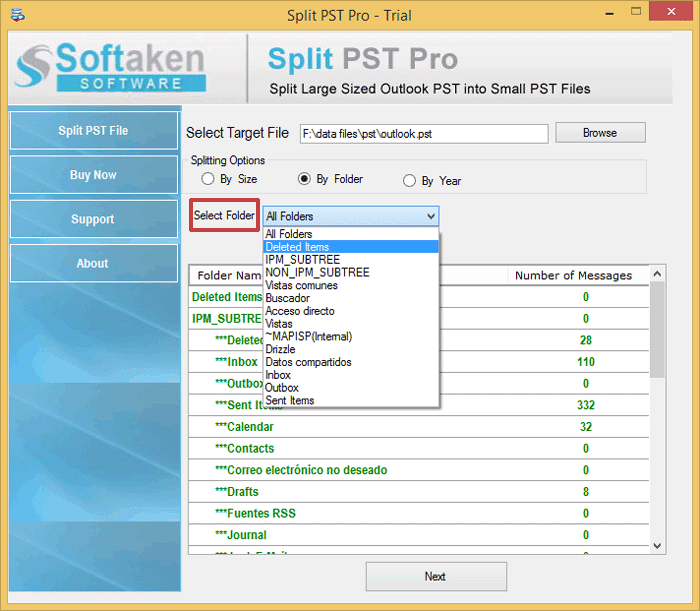 Step 6: Browse to select the destination folder and click on convert button to complete process.